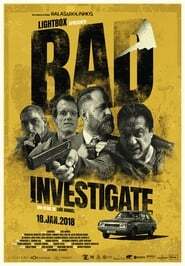 The Portuguese film Bad Investigate, by Luis Ismael, creator of the trilogy Balas e Bolinhos, has already surpassed the barrier of 30 thousand spectators in the Hidden Man national cinemas. According to data provided by the ICA, the police comedy – which follows the hunt for a dangerous criminal known as “El Dedo” (Enrique Arce) – already has 30742 Deadpool 2 spectators in two weeks of exhibition, which turned it into the 38th national work more seen since box office values have been accounted for in Portugal since 2004. Remember that the previous films of Luis Ismael were big box office hits, with Bullets and Cookies – The Last Chapter (2012) to get 256179 spectators, and Bullets Luis and the Aliens and Dummies – The Return (2004) to stay for the 57610.